Taking care of any kind of restoration trouble that befalls the good people of Colorado Springs is what our staff with 911 Restoration Colorado Springs live for. Providing people with the assistance that they need when a disaster unfolds is not easy, and this is why the team at 911 Restoration all have an extraordinary amount of training in addition to their IICRC certifications. 911 Restoration is at the top of the game, not just because it’s best for business, but honestly because we really care about the people and the homes of the Colorado Springs area. We want to ensure that no one has to deal with the stress and chaos of any kind of disaster alone. 911 Restoration is there for our customers, which is why when our customers have restoration related trouble, they can count on our team to get the job done quickly and accurately too. Don’t give a water damage situation, sewage backup, mold exposure, fire, smoke, or any other kind of disaster a chance to take over your home, or your peace of mind. Contact 911 Restoration today for all the relief you and your home need! Providing people with the solutions they need to water damage situations keeps 911 Restoration at the top of their game in the restoration industry. 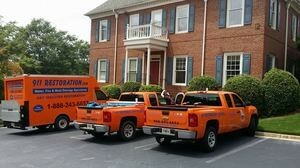 Water damage from any source moves quickly and can cause lots of damage in a short amount of time. The fast acting nature of this form of trouble is why we will be at the scene of any problem within 45 minutes to start eliminating the water and the stress it causes. When people have a water damage problem, they know that they can count on us to not only be there quickly and take care of the issue, but also to take care of them too. This level of customer care and attention is just one of the many aspects that keeps 911 Restoration at the cutting edge of the restoration industry. Don’t let your home or business be overrun by flooding that causes water damage from any category or source. Call water damage restoration Colorado Springs team with 911 Restoration Colorado Springs and you can count on a quick recovery from true professionals who care. When a sewage backup crisis occurs, there is no one more capable and ready with the right equipment. Sewage can be extremely dangerous to handle and this is why it requires dedicated and IICRC certified professionals who have your and your home’s best interests at heart. Sewage is one of the most stressful disasters that can happen to homeowners and that’s because they can’t imagine how their home will ever be, or even smell the same again. Don’t let a toilet overflow turn into a sewage situations that then sits for a single extra second as this will only increase the damages and the costs for solving them too. Contact sewage backup cleanup Colorado Springs teams of experts with 911 Restoration Colorado Springs today for all the sewage backup cleanup solutions your home needs! 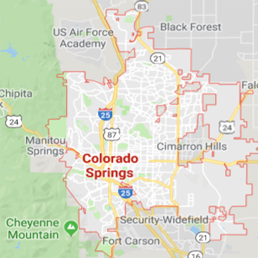 Mold problems are one of the most common issues that homes around the country face regularly, and Colorado Springs is no stranger to these issues. Because mold is so ubiquitous, there is a high degree of probability that your home may be harboring some right now. 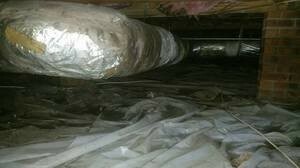 On the other hand, after a water damage event, the chances for massive mold colony growth is elevated exponentially. 911 Restoration Colorado Springs mold removal experts with are here for people and available 24/7/365 to take on these fungus issues whenever people need saving from them. We can handle all kinds of mold, in any room, in any amount and we can take care of whatever the source is for the mold colony in the first place too. If mold has taken hold in your home, then contact the mold removal Colorado Springs pros with 911 Restoration today and let them solve it all for you immediately! The nature of a fire and smoke restoration project usually involves the skills required for a water damage restoration project too. This is because when the fire company puts out a blaze, they tend to do so with hundreds to thousands of gallons of water. This water then mixes with the debris from the fire and the smoke in the air to create a massive cleanup job that requires total experts, 911 Restoration Colorado Springs to alleviate completely. Fires can be devastating for people, and this is why we get to the scene of the trouble quickly, and start our work immediately to prevent things from getting worse and costing more. Don’t let the smoke from a fire, or the water from the fire department sit in your home for too long, or this will only increase the trouble. Contact fire and smoke damage restoration Colorado Springs professionals with 911 Restoration Colorado springs today and let them solve everything for you immediately! Disasters arise in many different forms, and at unexpected times, which can make them extremely stressful events for home and business owners to deal with on their own. This is why911 Restoration Colorado Springs always make sure to put the customer first during every emergency event and all the restoration work that they do. We make sure to take care of our clients when a disaster hits. We will even file the insurance paperwork for people so that they don’t have to take on the added trouble of dealing with an insurance agent at the same time as dealing with a disaster. Catastrophe restoration is no easy task and this is why you should contact our trusted, trained and technologically equipped disaster restoration Colorado Springs staff with 911 Restoration Colorado Springs for any such trouble that your home may be facing today!